We Now Stock Precision Mirrors. IMPhotonix Precision Mirrors are designed for analytical instruments, imaging, defense, lighting, and medical applications. 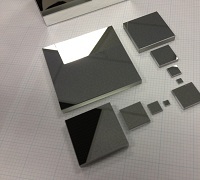 IMPhotonix is a US company with 35 years of experience in precision mirrors and custom coatings. 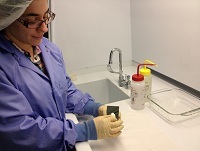 Our mirrors are produced to a high degree of quality and coated for specific applications. We can deliver with a quick turnaround and at a cost that is within budget. If you don’t see what you need on our list of stock items from our web page, we would be pleased to speak to you regarding your specifications. Please click here to view our precision mirrors inventory. Metal coated mirrors such as Aluminum, Silver and Gold, offer great performance at a low cost. When mirrors are subjected to frequent handling or are used in environments where dust and particulates are a problem, their performance will degrade. Our technical notes, on the proper cleaning of mirrors, will guide you through the proper steps to maintain the quality of reflection and extend the life of the mirrors. Please click here to learn more on “cleaning mirrors”. Greater Lawrence Rowing is an inner city program that helps kids learn to row on the Merrimac River. Last fall IMPhotonix was a corporate donor to help Greater Lawrence Rowing purchase a rowing barge. The barge is built for stability and can accommodate up to 12 rowers. Rowing is a lifetime sport and the barge will help the youth prepare for high school and college rowing.